Today is Halloween and I’m seeing posts on Facebook that refer to teachers and parents dreading Halloween because of the way candy (allegedly) makes kids hyper. So does Halloween candy make kids hyper? The research done back in the 1990s showed that sugar does NOT make kids or anyone else hyper. There are a lot of scientific and medical explanations for this, but it really comes down to a question of what happens when parents and teachers believe this? What’s going on? Why do normal children turn into hellions on Halloween? The answer has more to do with expectations and routines than with sugar. Let’s look at three reasons that explain why the behavior of “good kids” changes during the Halloween season. As I’ve discussed in previous posts, our beliefs have power. Whether we tell children our beliefs out loud or not, those beliefs are communicated through our behavior. One article about the effects, or non-effects, of sugar on children’s behavior pointed out that parents who believed sugar made their children act out tended to position themselves closer to the child, and they tended to criticize the child’s behavior more. 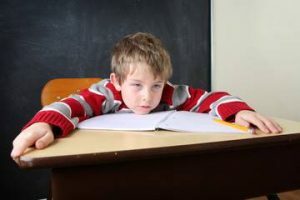 (https://www.livescience.com/55754-does-sugar-make-kids-hyper.html ) We know from other studies of teacher behavior that the more a teacher criticizes student behavior, the more likely the child will act out. In addition to our changed expectations of kids around Halloween, the classroom routine is changed. Kids crave routines. A well-managed classroom has a set of daily routines that provide a framework for the day. Consider how different the kids’ normal behavior is in October compared with August. By now, in most classrooms, the class routines and procedures are well-established and the teacher rarely has to remind students of this procedure or that. But if those routines are changed, kids will start testing the limits to figure out where those limits are again. I used to have the college level students think back on how student behavior changed on days when a class party was scheduled, or the school day was shortened, or, as is done in some middle and high schools, the day is reversed so that the last period of the day is the first period. When the familiar routine of the school day is disrupted, kids’ behavior gets out of whack as well. Even if the classroom décor is in that “just right” range, Halloween can throw kids off. Who can avoid looking at Cindy’s princess costume, or Peter’s Spiderman? When students are wearing costumes, there are suddenly 20-25 brand new things to look at. Is it any wonder that students seem to have stopped paying attention? In reality, they are not paying attention to the teacher, but they sure are paying attention to other things in the classroom. 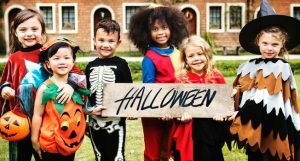 Here are things you can do to avoid the behavior problems that seem to haunt Halloween and the days after. Review class procedures regularly during Halloween season. When we anticipate that kids will stray from the established procedures, it is time to review them. I recommend that the teacher remind students of a procedure before having them do any procedure on October 31 through November 3, and again after the weekend. Make Halloween and the following days highly structured days. These are not the days to take a walk to look for signs of fall, or the days to have students doing a science experiment that has the potential for getting out of hand. This goes for class parties as well. If we give students “free time” for a party, we are inviting disaster. Instead, play learning games while nibbling on those class treats. Play vocabulary or math games, and keep the party time to a minimum. This doesn’t mean the class shouldn’t have time for laughs. By all means, read fun stories aloud to the class, play those academic games, tell corny Halloween jokes, etc., but make sure the teacher is in control of what the activities are. Be prepared! This motto doesn’t just belong to Boy Scouts and Girl Scouts. 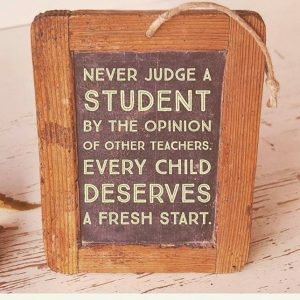 It is a teacher’s best friend as well. Before the day begins, think about what can go wrong. Then think of ways to avoid that thing going wrong. It does not mean eliminating the activity altogether, but it does mean helping students avoid problems. I doubt Halloween or the days that follow will be any teacher’s favorite of the year. There is too much potential for kids to act out or get off track. Even if the teacher does everything in his/her power to do to make sure behavior issues are kept at a minimum during this time, we have no control over what the expectations and procedures are at home. All we can do is keep looking for the good in students and structure the school day to minimize problem behavior. Have a Happy Halloween, and have some fun! Posted on October 31, 2018 Categories Holidays, Hyperactivity, Self-Fulfilling ProphesyLeave a comment on Does Sugar Make Kids Hyper?